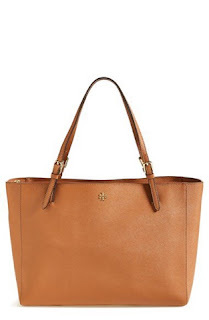 I absolutely LOVE this Tory Burch bag! It is the perfect Fall transitional color and really, I could probably carry it during all four seasons. The only part I'm not super fond of is the fact that there isn't a zipper at the top. I really worry about all my stuff falling out. However, my new Rebecca Minkoff doesn't have a zipper either and even though I thought it would be a problem, I really haven't had any issues with it! What do you guys think; Should I wait, or go ahead and buy? !